little bird, listening is a durational performance exploring distance (in space and time) through endurance (of body and memory). It uses the rich and complex text of T. S. Eliot’s Four Quartets spoken continuously from memory whilst moving/dancing, in relay between me as the live performer and my mother (over mobile phone from Aberystwyth), for the length of the train journey that would be necessary to reunite us wherever the performance is taking place (3 hours, 40 minutes in Coventry; 4 hours, 13 minutes in Liverpool). 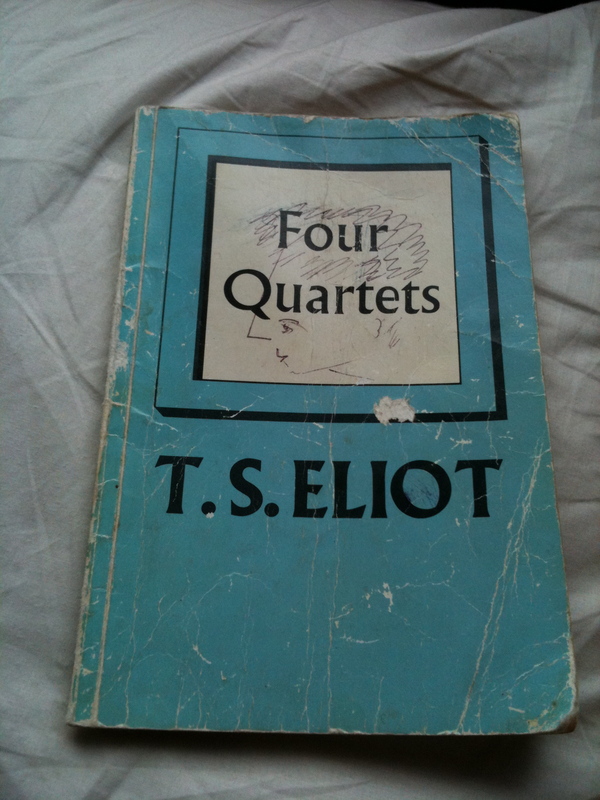 First published together in 1944, Eliot’s Quartets are some of the most famous and well-regarded twentieth century poems to deal with the nature of time. But they hold an equal — and related significance — for my small family, as a unifying thread that links our lives with colourful stories. Our one slim copy of these poems contains mum’s biro-ed lessons in the use of grammar and punctuation (for me, age 7) on the frontispiece; the scribbled marginalia of her literary analysis and, poignantly, the notes she later wrote in Welsh for her own mother’s epitaph. This was also the volume that I’d famously picked up age 6 and precociously read out loud from, deceived by its slimness into thinking it was a book for children. All this on the faded armchair where I was so often read to, or slipping down the side of, lulled to sleep by my mother’s sonorous voice on another endless telephone call. 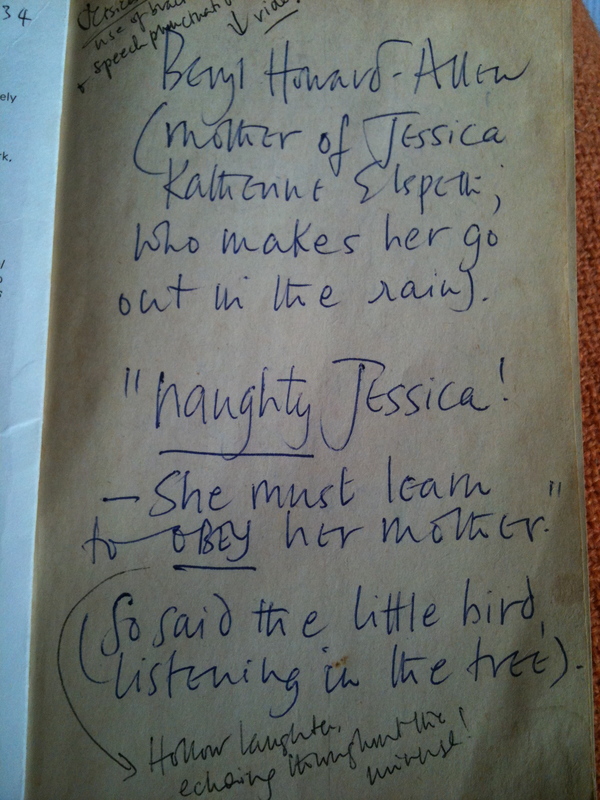 One volume, three generations of women, one cat (called Eliot), a telephone and a lot of talking out loud…. Now these poems form the basis for this exchange between mother and daughter, exploring, through text about time, the distance between who we are now and who we were then, and how we transcend or distort it through the un/reliable lens of technology and memory. Further details and images are available on the little bird blog.